Be Well Be Here’s founder, Lara Wilson, has been a writer, teacher and meditator for over thirty years. She has co-created mindful wellness practices with cancer patients, struggling students, teachers, school administrators, young athletes, disabled individuals, architects, celebrated authors, medical professionals, bankers, CEOs, children, artists, even horses. Lara holds a Master's Degree in English & American Literature, a Graduate Certificate in Mindfulness Studies, and certification in Restorative Yoga (RYT-200) and Reiki Level II. She continually trains in a variety of meditative modalities such as qigong, breath work, equine experiential learning, and dance. Following a two-year cancer journey, Lara deepened her personal practices through principles of experiential integration, learning from expert mindful wellness teachers. She has shared this wisdom at conferences, wellness centers, corporate retreats, yoga studios, libraries, and public and private schools. 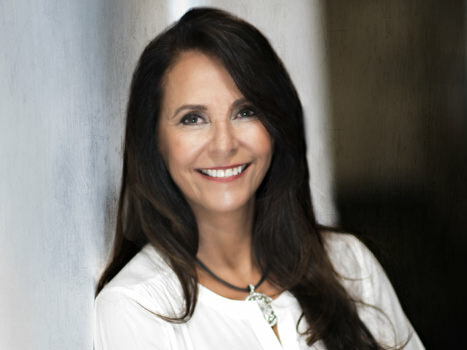 Lara’s personal experiences with integrative healing have been included in medical case studies, and were featured in an article about cancer, connection and community in the American Journal of Lifestyle Medicine written by a core faculty member of the Center for Mind-Body Medicine. An award-winning short story author, Lara has been a panelist at national literary conferences such as Associated Writing Programs (AWP) and the Muse and the Marketplace, where her presentations integrate her embodied knowledge of mindful wellness and self-expression. Lara continues to collaborate with Grub Street in Boston, where she served on the board of directors for six years, taught master fiction workshops for many more, and continues to offer manuscript consulting. Currently, Lara is a member of the board of the Friends of the Concord Free Public Library and Curator of the Concord Festival of Authors. She invites us all to explore how experiential integration of wellness practices enhance our creative process and the well-being of mind, body and spirit. Nicole Grant is a senior Yoga Instructor and Yoga Therapist, certified by the International Association of Yoga Therapists (C-IAYT), the Yoga Alliance (ERYT-500), Reiki Master in the Usui methodology, and certified Journey DanceTM Facilitator. She founded Yoga Mandala in October 2001, and transitioned to the role of director of Blue Monkey Yoga at Fit Life Boston in 2018. As a mindful practitioner of great heart and integrity, Nicole played an instrumental role in the launching of Be Well Be Here. She is also committed to bringing awareness to the financial stresses of cancer through her fundraising efforts for Reach Athletes and the Family Reach Foundation, as well as sharing experiential mindful wellness practices with teens by curating meditation programs at local high schools. Since childhood, master teacher Ben Kamens experienced compassionate connections that deepened in college with his study of social justice, ecology and meditation. His undergraduate study in the philosophy of spiritual traditions led Ben to pursue a Master’s degree in East-West Psychology. Ben has spent 10 years practicing meditation, and spent several months in Auroville, India studying the ancient teachings of Yoga as embodied in the Bhagavad Gita. In 2016, Ben launched his unique practice of mindfulness-based counseling services. Conscious Living offers a rich combination of wisdom from embodied meditation practice, connective energy work of Reiki, and creative ways to explore inner life. Be Well Be Here feels fortunate to share Ben’s wise, caring practice in our space! Usha Pasi (BWBH Board VP) has extensive experience in development, constituency engagement, and governance at universities, arts institutions, and nonprofits. During the course of her career, she has held leadership positions at Yale, the MFA, Facing History and Ourselves, and the Cambridge Community Foundation. She has also held consulting assignments with Stanford University, the InterAcademy Partnership, the Perimeter Institute, and other organizations. In her professional roles, Usha has worked with organizational leadership and teams to establish and strengthen philanthropic and community relationships, and to build organizational capacity and infrastructure. She has a particular interest in governance and strategies that build on excellence and inclusion to achieve organizational mission. Usha serves on the Boston Book Festival Board, the largest pubic literary event in New England, and is a member of the HGSE Alumni Council. Usha also been active with Women in Development and AFP Massachusetts. Rosemarie Johnson (BWBH Board Clerk) is a member of The Philanthropy Connection and a founding partner of Persephone Ventures Partners, a women’s group investing in growth companies. She serves on the Overseers Advisory Board for WGBH-TV and the board of directors of the Cambridge Community Foundation. Rosemarie is a former member of the board of directors at Concord Academy, Shady Hill School in Cambridge and Beacon Academy in Boston. She has served on the board of the Coordinating Council for Children, Youth and Families, known as the Cambridge Kids Council, an advocacy board that seeks to improve the quality of life for the city’s youth and their families. A graduate of USC, Rosemarie has a background in public relations. Her lifelong dedication to guiding non-profit organizations with warmth, generosity, and wisdom has transformed myriad communities. Julianne Donley (BWBH Board Treasurer) has been President and CEO of Miniter Group since 2002. After graduating from Smith College, she immediately began working in the insurance industry, and now holds licenses in 50 states. Julianne joined Miniter in 1985 with a focus on risk transfer products for financial institutions, and as CEO, has been instrumental in the growth of the company through sales as well as the creation and management of its infrastructure. She previously served as Trustee of the Boston Latin School Association and is currently a member of their Campaign Council. Marjan Kamali, born in Turkey to Iranian parents, spent her childhood in Kenya, Germany, Turkey, Iran, and the United States. Marjan graduated from U.C. Berkeley and earned an MBA from Columbia University and an MFA from NYU. Her debut novel Together Tea (EccoBooks/HarperCollins) was a Massachusetts Book Award Finalist, an NPR WBUR Good Read, and a Target Emerging Author Selection. It has been translated into several languages and was recently adapted for the stage. Her work has also been broadcast on BBC Radio 4 and published in two anthologies: Tremors and Let Me Tell You Where I’ve Been. Her second novel, The Stationery Shop, will be published by Gallery/Simon & Schuster in June 2019. Marjan taught writing at Boston University and currently teaches at GrubStreet. She is a co-founder of the Arlington Author Salon and lives with her husband and two children in the Boston area.